The Vapourtec R Series flow chemistry system can be used in a standalone mode, with a simple to use interface and clear, easily visible displays. But with the addition of the FlowCommander™ software, many things become possible, including the interfacing and control of external equipment. This includes UV sensors, a fraction collector, and even an autosampler for loading different reagents for each reaction. This allows the user to carry out optimisation investigations across a large parameter workspace, varying time, temperature, stoichimetric ratios and concentration. Flow Commander™ is configured for a large number of different collector options, and these may of course be added to in the future. Flow Commander™ features a dispersion modelling algorithm so that the “steady state” part of the reaction output can be captured, and the “end effects” can be discarded. However, this is optional and the user can elect to collect the entire peak, if required. 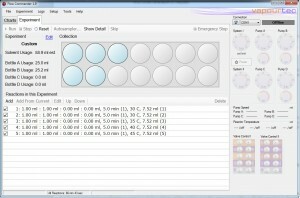 For each individual reaction that you schedule, you can choose how many vials to collect in. 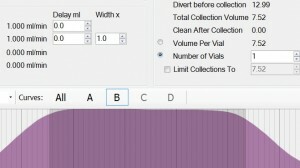 For example, in one reaction you might choose to collect a large quantity that needs to be split across many vials, or you may wish to investigate changes throughout a reaction (for example if you suspected variable catalyst activity for a large reaction) and hence separate the peak into multiple samples. 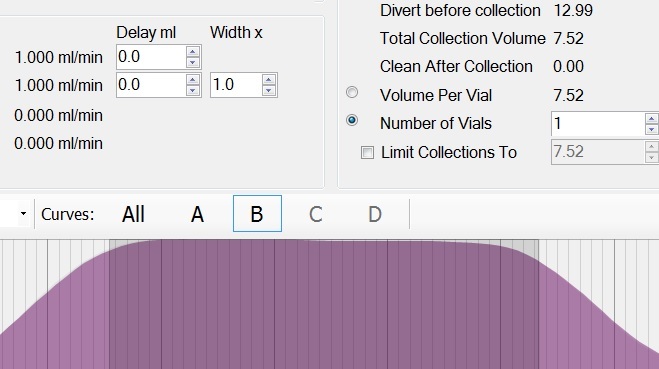 For analytical purposes it may be useful to collect a separate small aliquot that is representative of the whole vial. 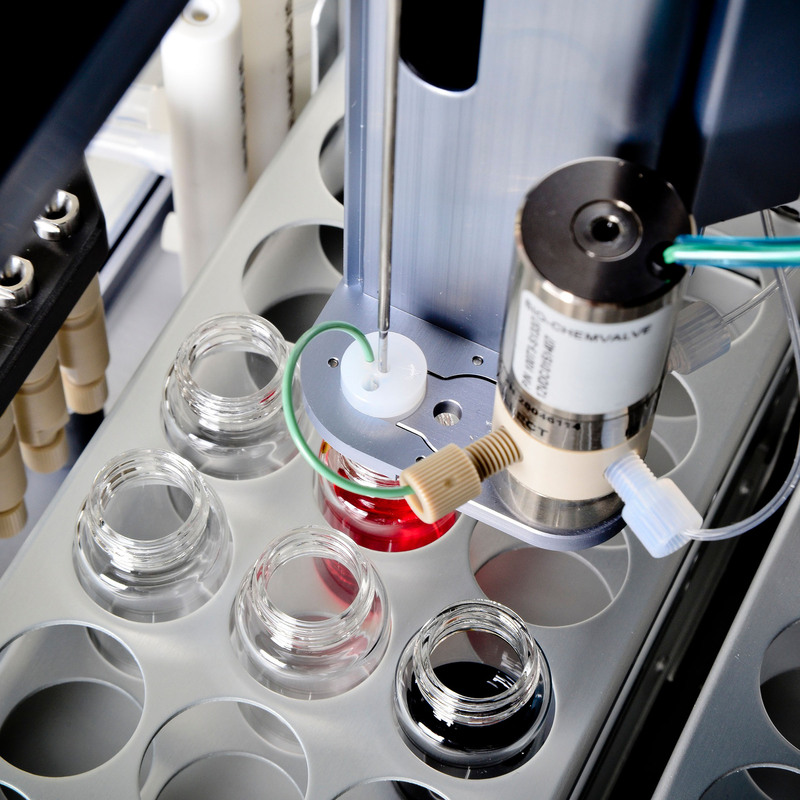 The system can be configured to collect this sample (in a separate vial) in the middle of collection of the main product vial (i.e. from the centre of the product peak). It may turn out partway through an automated sequence that some of the later scheduled reactions are no longer required or need to be modified. (Perhaps analysis of early output has been conducted or outcomes deduced from visible evidence). In this case, it is possible to disable any item in the reaction queue that has not already been started. This allows the system to move into more valuable reactions sooner. Alternatively the parameters of queued but not started reactions can be edited. Each reaction can be logged and then a report generated after the event. 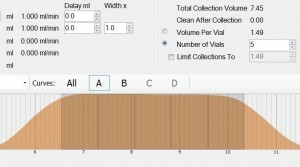 The report includes the number(s) of the vial(s) into which the product was captured, so can be cross referenced with analysis of the same vial tray.